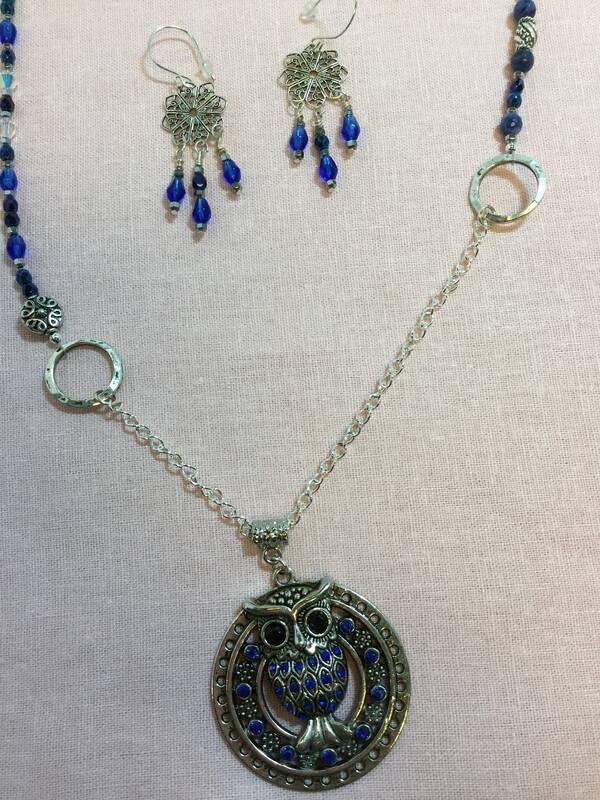 This pendant-length necklace in the Wise Woman series features a large silver owl with blue accents and plenty of personality. 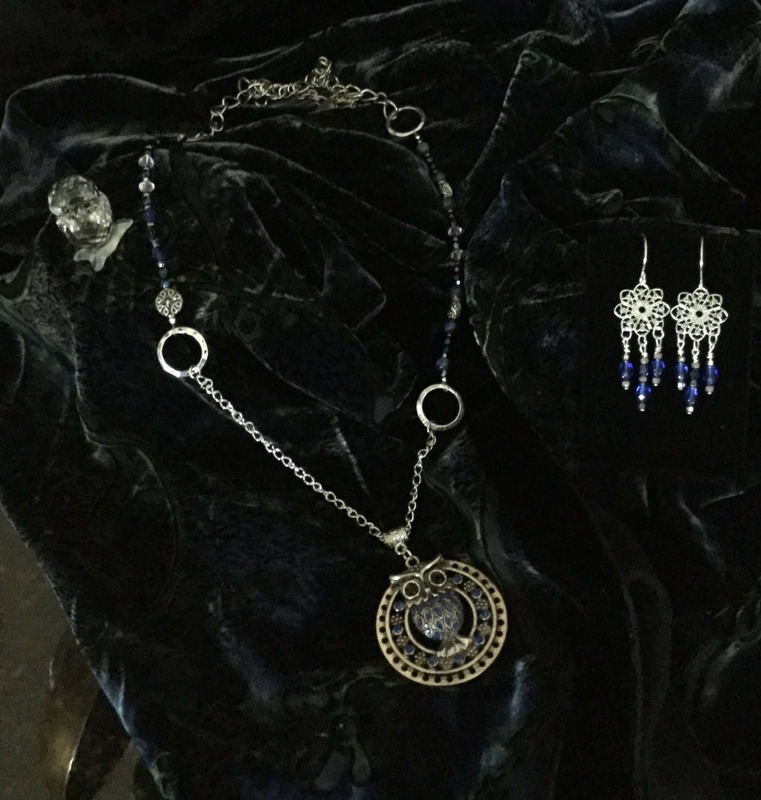 The beaded sections are composed of sodalite, Czech beads and Swarovski crystals. 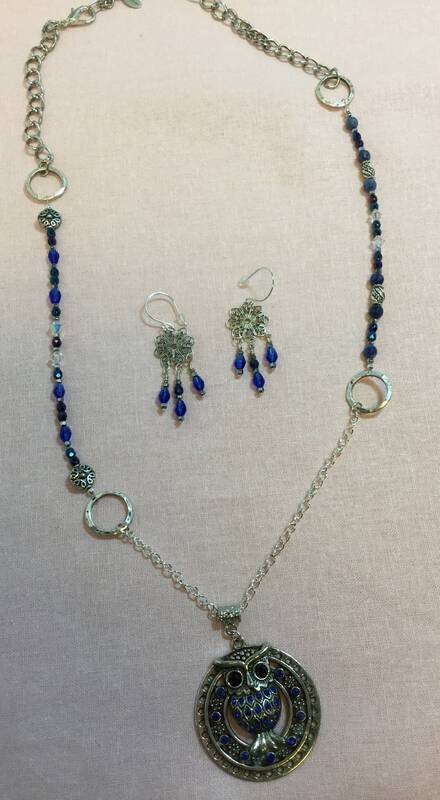 It measures 30” and can be adjusted with the lobster clasp. 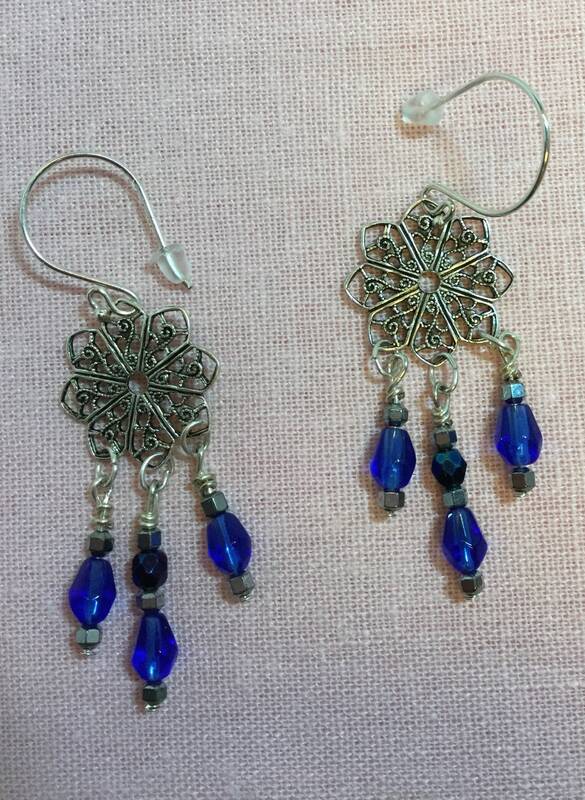 The earrings dangle blue teardrops from delicate silver filigree flowers and sterling French wires that can be altered with clip-on or lever-back options. What a unique gift this would make for that wise woman in your life, even if she also happens to be you!